In the fall of 1997 some of the biggest names in show business filled the Motion Picture Academy theater in Beverly Hills for Hollywood Remembers the Blacklist, a lavish production worthy of an Oscar telecast. In song, film, and live performances by stars such as Billy Crystal, Kevin Spacey, and John Lithgow, the audience relived a time some fifty years before, when, as the story has always been told, courageous writers and actors stood firm against a witch-hunt and blacklist that wrecked lives and destroyed careers. Left untold that night, and ignored in books and films for more than half a century, was a story not so politically correct but vastly more complex and dramatic. In Hollywood Party the complete story finally emerges, backdropped by the great upheavals of our time and with all the elements of a thriller-wrenching plot twists, intrigue, betrayal, violence, corruption, misguided passion, and lost idealism. 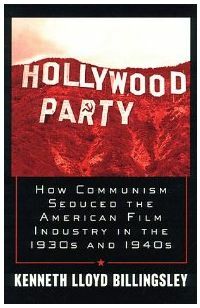 Using long neglected information from public records, the personal files of key players, and recent revelations from Soviet archives, Kenneth Lloyd Billingsley uncovers the Communist Party's strategic plan for taking control of the movie industry during its golden age, a plan that came perilously close to success. He shows how the Party dominated the politics of the movie industry during the 1930s and 1940s, raising vast sums of money from unwitting liberals and conscripting industry luminaries into supporting Stalinist causes.